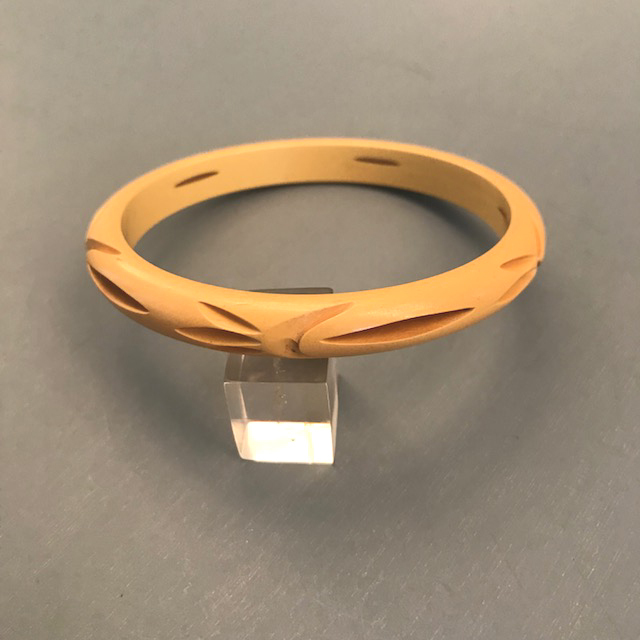 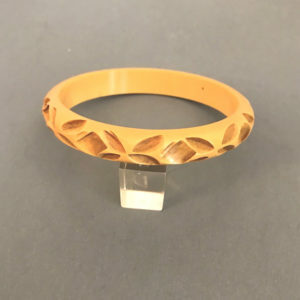 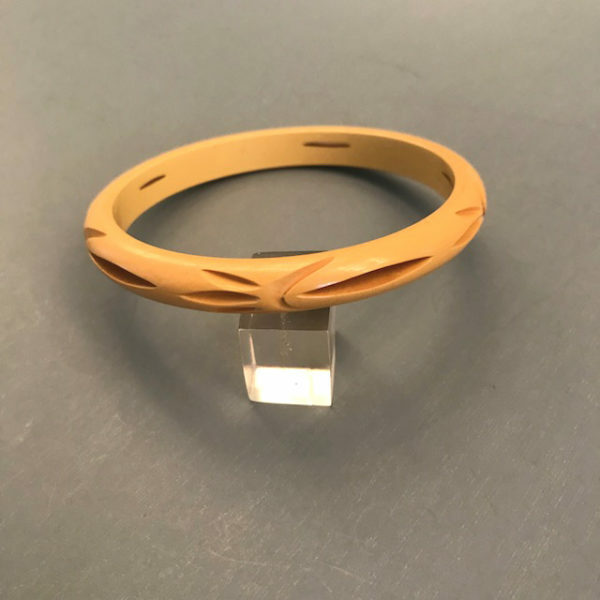 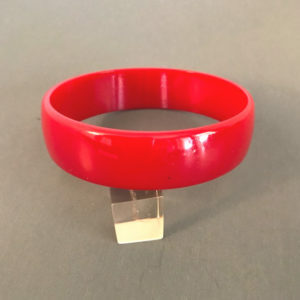 BAKELITE butterscotch spacer bangle with carving and pierced areas, just lovely! 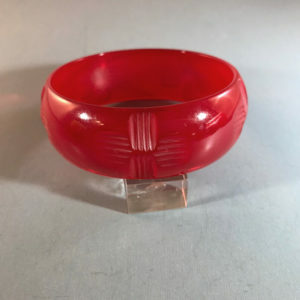 It is 1/2" by 1/4", circa 1940. 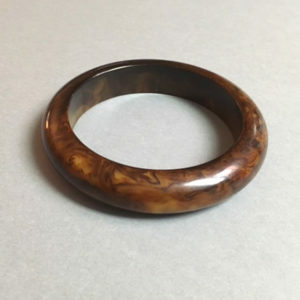 It has a bit of brown wash to highlight the wonderful carving.